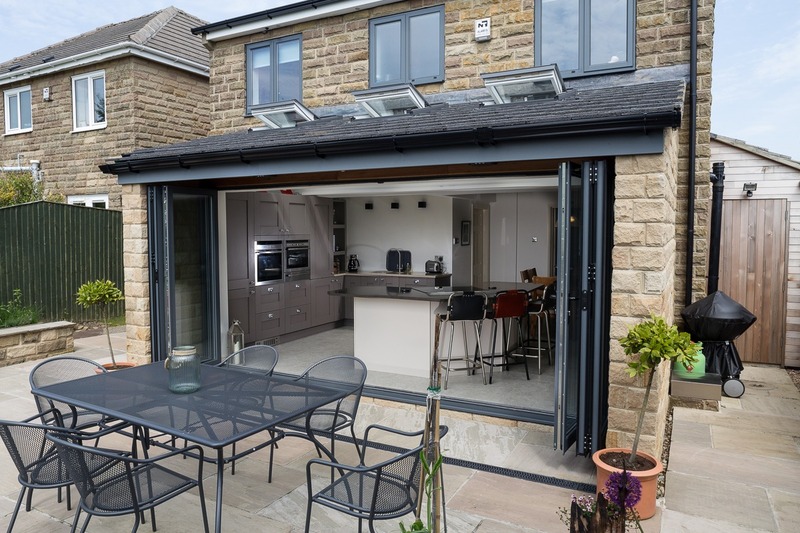 Bi-Folding doors or bifold doors are best defined as a multi-folding door that create a 90% clear opening, giving you complete open access to your garden outside. Typically Bi-folding doors open in a concertina style and neatly fold flat when open, either on the exterior or interior. It is this style of functionality that leads some people to refer to them as concertina doors. 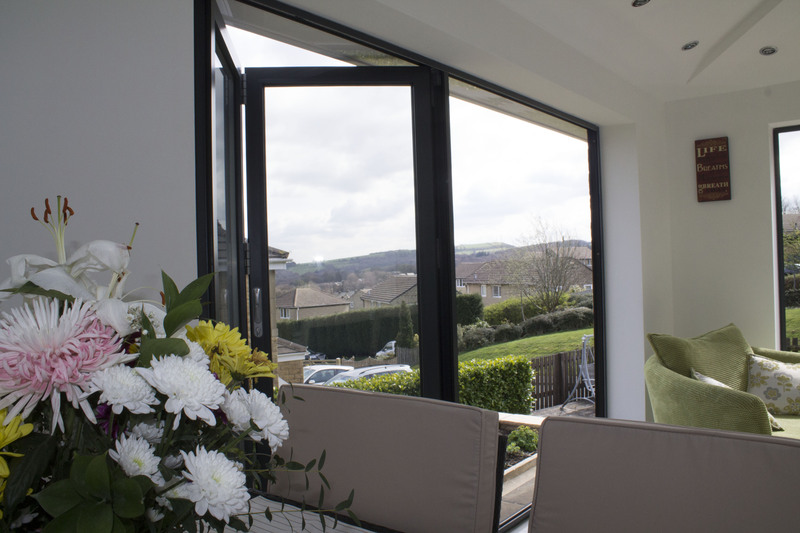 The Aluminium materials we use are strong, light weight and versatile, making them ideal for use on bi-folding doors. The Aluminium is also extremely durable, which is why we are able to offer a 10-year guarantee with all our folding door systems. 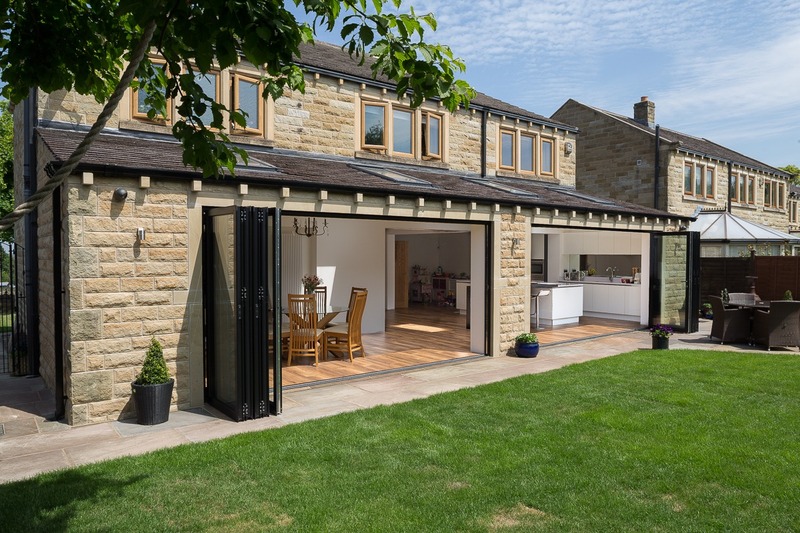 Our advanced Aluminium Bi-Folding door systems are a beautiful and functional alternative to patio or French doors, which only provide around a 40% opening. You can see configurations of bi-folding doors by clicking here. Clear View can design, manufacture and install an average aluminium bi-folding door system in under four weeks. Q. Do you manufacture PVC Bi-folding Doors? No. We are an aluminium manufacturer, PVC Bi-Folding doors tend to be cheaper than aluminium, but aluminium Bi-folding Doors are widely considered to be a far superior product. Q. How thermally efficient are your Bi-folding Doors? Q. 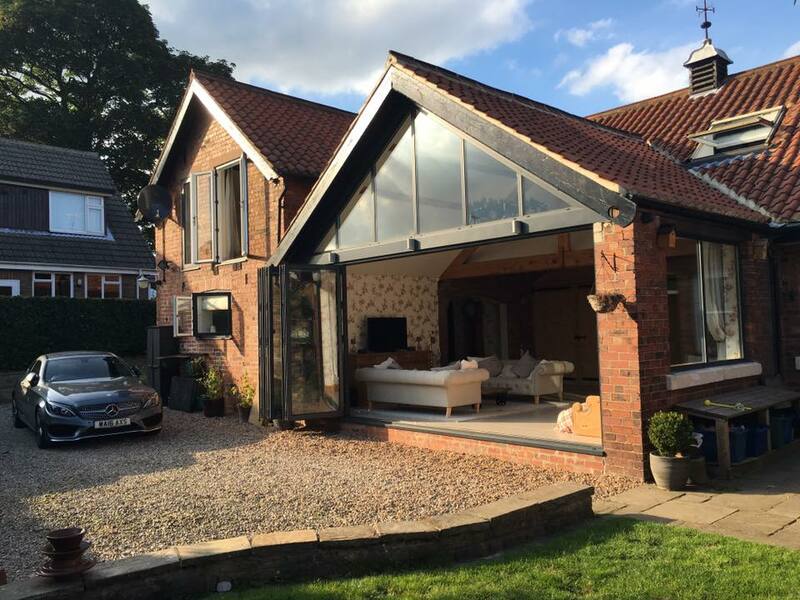 How can I get a price for one of your Bi-folding Doors? Q. 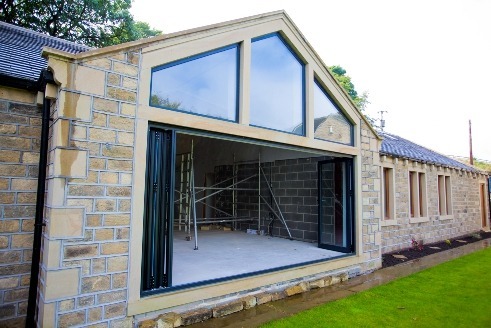 Do you offer a low rise threshold option for your Bi-folding Doors?